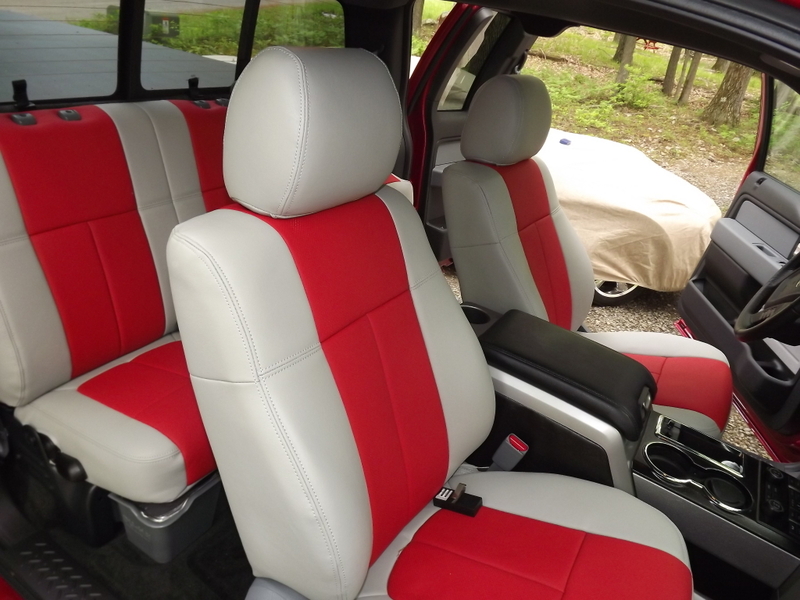 Our leather seat covers or vinyl seat covers are certain to make your Ford a more luxurious and comfortable. 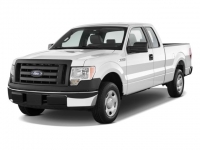 If you're looking for Ford F150 Seat Covers (our best seller) then you are at the right spot! Why pay thousands more at the dealership for their leather seats when you can just get our leather seat covers for your Ford for tons cheaper? 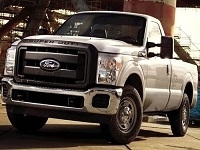 These seat covers are a great way to improve the feel and luxury of your Ford truck. Need we say more? 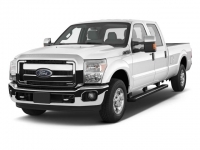 Go ahead and pick your Ford truck's model above to get an order started and feel free to contact us if you have any questions. I bought these seat covers after a lot of looking. Let me just say it's the best thing I've done to the yet. Just plain Awsome !!! I spent a ton of time researching which seat covers to buy. I finally decided on the Clazzio leather covers and am very glad I did. These covers look better than factory leather. I had mine custom ordered and my buddies are in awe of the quality and look of these covers!!! Just got them installed yesterday and they look great. Almost look like factory leather seats. Great quality, service and delivery. The covers fit my seats perfect and totally changed the look of my truck. I couldn't be happier. Thanks! The quality of the seats is great. Installation was easier than expected. However, I was a little disappointed in the top portion/console of the center bench seat. I never saw a picture of the 2010 version and assumed it would be like the 11' version and newer. It velcros over the top, instead of around the part that opens and doesn't let you open the console easily. Otherwise, I'm really happy with the seat covers. 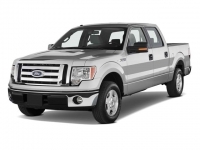 Read more Ford F-150 Seat Cover reviews & other Ford Seat Cover reviews here. These look great - I want to get my Ford some seat covers. What else? 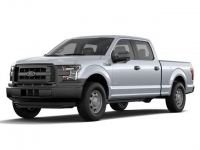 As you browse our Ford seat cover catalog, you'll notice that we have seat covers listed for select series and years Ford trucks. Unfortunately, we only have seat covers to fit these specific patterns since our seat covers are 100% application specific and measured directly for the seat of your Ford. 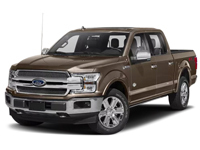 If you do see your Ford truck listed above, then you are one step closer to hooking it up with a high quality set of seat covers, available in normal single tone colors to match your interior or in custom two-tone setups with a custom stitching color (if desired). 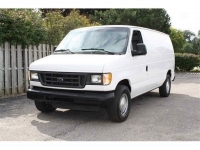 You'll also notice that we offer Free Shipping on all Ford Seat Covers shipped in the continental USA and provide a warranty with all seat covers. We've been dealing these seat covers for Ford trucks since 2009 and have enjoyed making Ford truck owners enjoy their truck with more comfort and personalization. To get an order started, you can check out through our easy to use online store by picking your truck above and selecting the options you want for it. We will contact you after an order is made for your Ford seat covers and verify if we have your setup already in stock or if it needs to be custom made. You can also contact us directly via phone or e-mail to get an order started. Why do I need seat covers on my Ford? Order your Ford Seat Covers today and enjoy your interior for years to come. Choose your model above to get started.